The Silence of the Lambs, the 1991 film starring Anthony Hopkins and Jodie Foster, is one of the scariest and best horror movies of all time. It is based on a book by Thomas Harris. The Silence of the Lambs is a psychological horror film. Jodie Foster’s character, FBI agent Clarice Starling, enlists the help of the murderous Dr. Hannibal Lecter to catch another serial killer, Buffalo Bill. The movie won several Academy Awards and broke box office records. 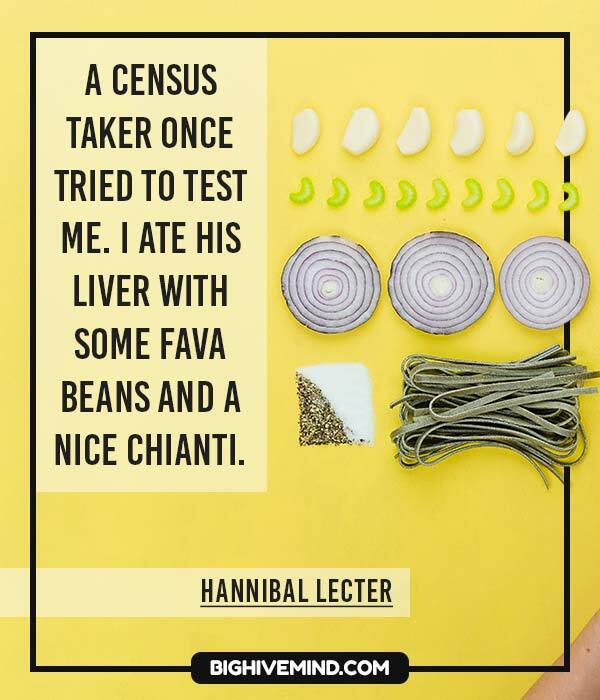 These creepy quotes about lotion and fava beans will scare you and may even make you laugh. Five foot ten, strongly built, about a hundred and eighty pounds; hair blonde, eyes pale blue. He’d be about thirty-five now. He said he lived in Philadelphia, but he may have lied. That’s all I can remember, mum, but if I think of any more, I will let you know. Oh, and Senator, just one more thing: love your suit! It was… screaming. Some kind of screaming, like a child’s voice. I’ve no plans to call on you, Clarice. The world is more interesting with you in it. That’s only a part of the island. There’s a very, very nice beach. Terns nest there. There’s beautiful. You see a lot, Doctor. But are you strong enough to point that high-powered perception at yourself? What about it? Why don’t you – why don’t you look at yourself and write down what you see? Or maybe you’re afraid to. Plum Island Animal Disease Research Facility. Sounds charming. I’m sorry, ma’am. We’ve got orders. We have to put you on a plane. Come on, now. Mister… my family will pay cash. Whatever ransom you’re askin’ for, they pay it. I went downstairs, outside. I crept up into the barn. I was so scared to look inside, but I had to. What you are doing, Miss Starling is coming into my hospital to conduct an interview, and refusing to share information with me, for the third time. No. Precisely. We begin by coveting what we see every day. Don’t you feel eyes moving over your body, Clarice? And don’t your eyes move over the things you want? Don’t bother with a trace, I won’t be on long enough. Would you f*ck me? I’d f*ck me. I’d f*ck me hard. I’d f*ck me so hard. You know I can’t make that promise. No no no you were doing fine, you had been courteous and receptive to courtesy, you had established trust with the embarrassing truth about miggs, and now this ham-handed segue into your questionnaire tut-tut-tut it won’t do. I am going to show you why we insist on such precautions. On the evening of July 8th, 1981, he complained of chest pains and was taken to the dispensary. His mouthpiece and restraints were removed for an EKG. When the nurse leaned over him, he did this to her. Clarice, your case file. Goodbye, Clarice. Look at it, Starling. Tell me what you see. It’s Jim Pembry, now, talk to him, damn it! You know what you look like to me, with your good bag and your cheap shoes? You look like a rube. A well scrubbed, hustling rube with a little taste. Good nutrition’s given you some length of bone, but you’re not more than one generation from poor white trash, are you, Agent Starling? And that accent you’ve tried so desperately to shed: pure West Virginia. What is your father, dear? Is he a coal miner? Does he stink of the lamp? You know how quickly the boys found you… all those tedious sticky fumblings in the back seats of cars… while you could only dream of getting out… getting anywhere… getting all the way to the FBI. It excites him. Most serial killers keep some sort of trophies from their victims. Put the f*cking lotion in the basket! Is it true what they’re sayin’, he’s some kinda vampire? 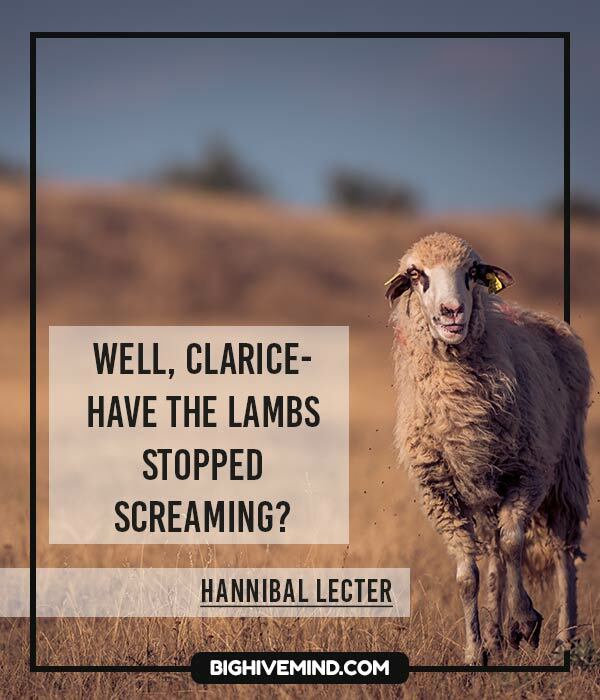 You’re very frank, Clarice. I think it would be quite something to know you in private life. Get a hold of him more and feel his hand, son, talk to him. 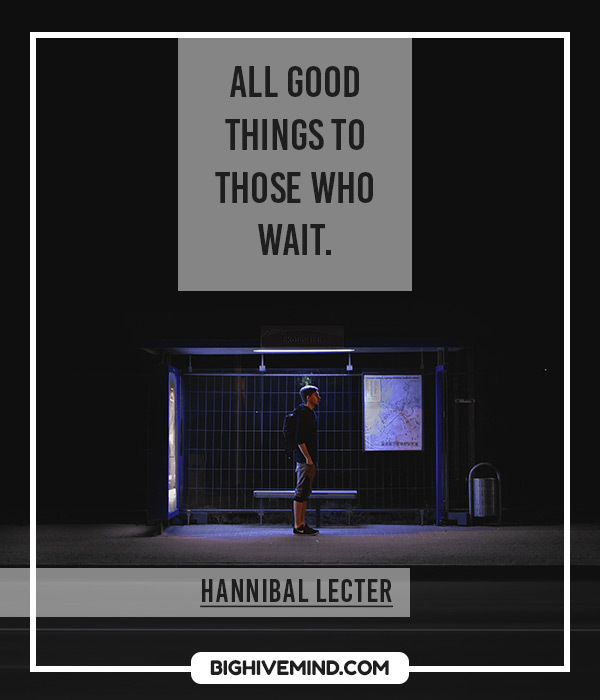 Believe me, you don’t want Hannibal Lecter inside your head. No. No, you ate yours. Why do you think he removes their skins, Agent Starling? Enthrall me with your acumen. I see. I myself cannot. You use Evian skin cream, and sometimes you wear L’Air du Temps, but not today. Look, I am not just some turn-key, Miss Starling. I remember you from my seminar at UVA. You grilled me pretty hard, as I recall, on the bureau’s civil rights record in the Hoover years. I gave you an A. Tell me, Senator, did you nurse Catherine yourself? No. First I tried to free them. I… I opened the gate to their pen, but they wouldn’t run. They just stood there, confused. They wouldn’t run. Oh, he’s a monster. Pure psychopath. So rare to capture one alive. 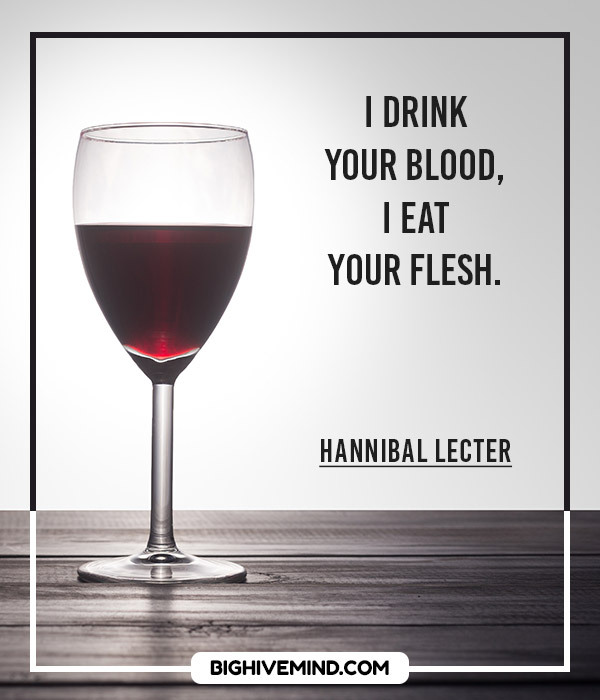 From a research point of view, Lecter is our most prized asset. And you think if you save poor Catherine, you could make them stop, don’t you? You think if Catherine lives, you won’t wake up in the dark ever again to that awful screaming of the lambs. No, he covets. That’s his nature. And how do we begin to covet, Clarice? Do we seek out things to covet? Make an effort to answer. Jack Crawford is helping your career, isn’t he? Apparently he likes you, and you like him too. No! That is incidental. What is the first and principal thing he does, what need does he serve by killing? Brave Clarice. You will let me know when those lambs stop screaming, won’t you? I will listen now. After your father’s murder, you were orphaned. You were ten years old. You went to live with cousins on a sheep and horse ranch in Montana. First principles, Clarice. Read Marcus Aurelius. Of each particular thing ask: what is it in itself? What is its nature? What does he do, this man you seek? Has the FBI learned something yet? The police around here don’t seem to have the first clue. 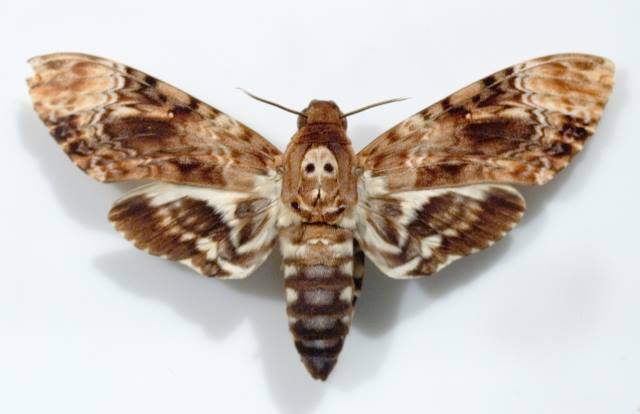 [Clarice notices a moth] I mean have you got like a description, fingerprints, anything like that? Who can say. Best thing for him, really. His therapy was going nowhere. I don’t know. I didn’t have any food, any water and it was very cold, very cold. I thought, I thought if I could save just one, but… he was so heavy. So heavy. I didn’t get more than a few miles when the sheriff’s car picked me up. The rancher was so angry he sent me to live at the Lutheran orphanage in Bozeman. I never saw the ranch again. A pretty young woman to turn him on. I don’t believe Lecter’s even seen a woman in eight years. And oh, are you ever his taste. So to speak. Lambs. The lambs were screaming. He’s alive. Sergeant Tate, he’s alive! You still think you’re going to walk on some beach and see the birdies? I don’t think so. I called Senator Ruth Martin. She never heard of any deal with you. They scammed you, Hannibal. He won’t come after me… He won’t. I can’t explain it … he would consider that rude.